As you know I have been hosting multiple authors on my blog. And all of these talented writers are from a small but extremely wonderful publishing company called Soul Mate Publishing. 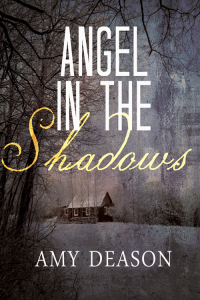 That is where my first book, Angel in the Shadows, is being published also. If you like what you’ve read and we have caught your interest in reading great stories, the best way to stay up to date is simple. Sign up for our newsletter. By doing so, you’ll not only learn more about our books and which books are coming out when but you’ll also have a chance to win a brand new Kindle! So please click the link below and join us at Soul Mate Publishing. Where two become one. This Week’s Read: Angela Scavone!! Hi everybody. 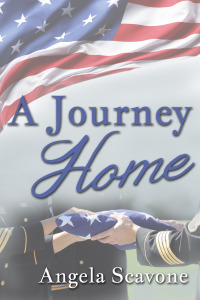 This week I am hosting Angela Scavone and her book, A Journey Home. It is a mix of romance, mystery, and danger. Just by reading the blurb and excerpt, I know it one book that I will have to check out. It fully grabbed my attention and I am sure that it will do the same for you. So take a minute to read a little bit more about this book and the wonderful Angela Scavone. Enjoy!! 1. When did you first decide you wanted to become a writer? I have wanted to be a writer since I was young, around 10 years old ish. 2. When writing, are there scenes that are more difficult for you to write than others? None that I have come across so far, I have found some scenes emotional to write and those can be tough. Especially when they bring up real life memories. 3. Where do you get your inspiration for your books? 4. What are some if your favorite things to do when you’re not writing? I love reading, yoga, trying out different recipes for my new food intolerances (dairy and gluten) and see if they work also I like to spend as much time with family and friends as I can. 5. Who are a few of your favorite authors? Some of my favorite authors are Jen Lancaster, Jane Austen, Sophie Kinsella and Janet Evanovich.